Kwame is back! In case you don’t watch Top Chef (you should), Kwame was on season 13. He didn’t win but his food always looked so damn tasty and he seemed like a genuinely nice person. Last year, Kwame opened Shaw Bijou (in, well, Shaw) to some pretty harsh reviews. Some of the reviews seemed fair, some read a little like, “stay in your place, young black man.” I mean, it was about $200 a person so I wasn’t going. 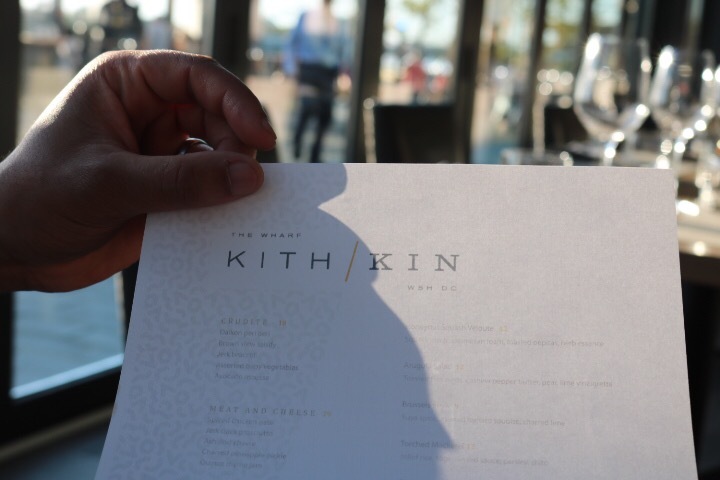 Now, Kwame has a new restaurant (Shine on, young black man) in the new and semi incredible SW wharf neighborhood. Why do I say semi incredible? Well, because DC is known for making up new neighborhoods (looking at you NoMa) that often correlate with gentrification and gobs of money. The wharf is no different. It literally appeared out of nowhere. Overnight, a spot that really only had a fish market and some clubs back in the day has been transformed into mini Georgetown. I’m here for it but it is sort of incredible how these things happen. Back to the restaurant. 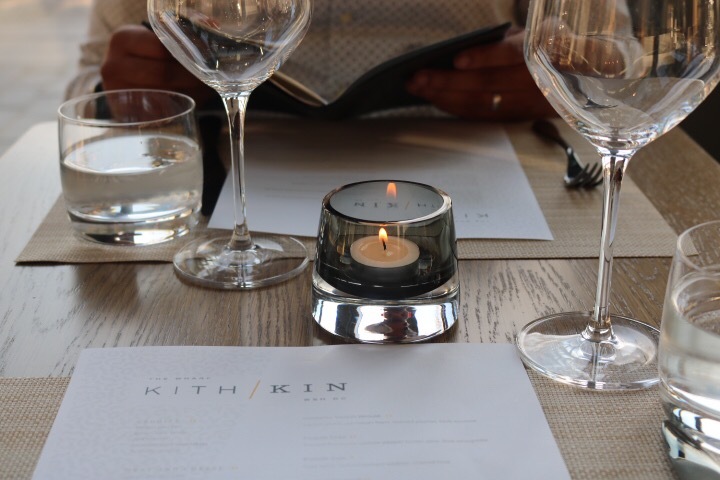 Kith Kin (meaning friends and family) is an Afro-Caribbean restaurant that serves small plates. This is a super stylish spot. I walked in like “dang, Kwame didn’t spare a dime.” Big, open, bright, and beautifully arranged. Hype level? I don’t know. The area is so new I think that people haven’t had time to form an opinion. It did get crowded, though. Pros:Full on Swank – From the decor to the rich wood to the river light shining in through the picture windows, this place is swanky. And by swanky I do not mean white tablecloth. If you don’t know me, I am tired of white tablecloth BS. This is fun, spritely, and ready for your amazing get up (H&M or Dolce – however you roll) and good vibes. 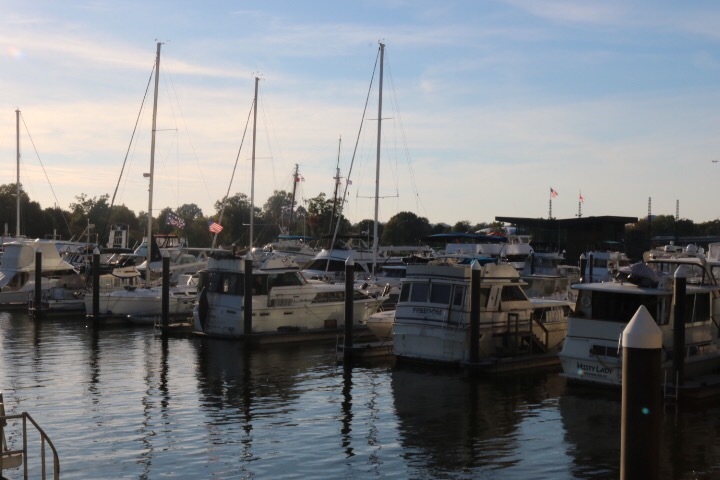 River views – Located right on the wharf, you can sit at the bar or grab a table and get all of the views. All of them. 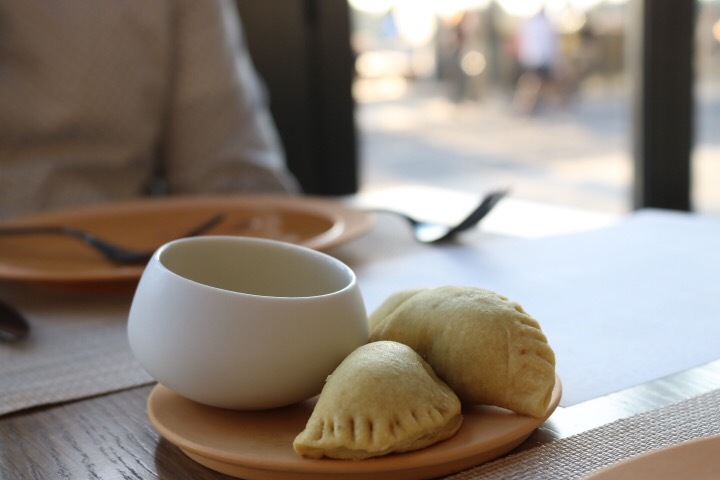 Good flavors – Kwame did not forget the salt and pepper and for that I say thank you. Everything I tried was flavorful and just the right amount of spicy. The beef patties were delicious. 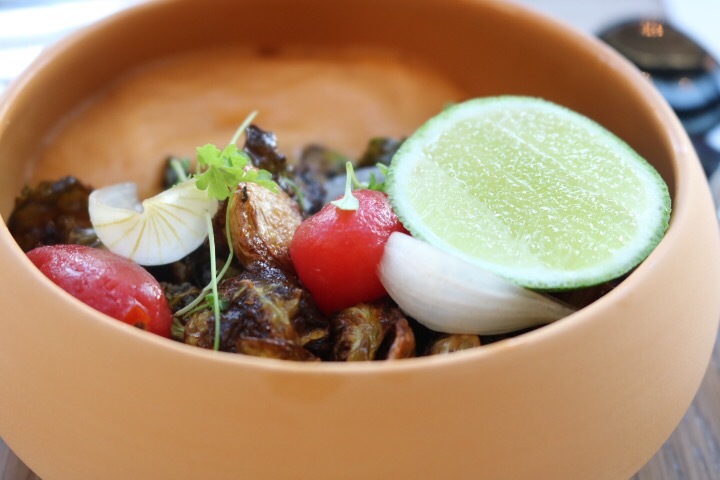 The Brussels sprouts were INCREDIBLE. Are sprouts African, though? Ha, I’ll give him a pass. Oh, they also start with some good, sweet coco bread. 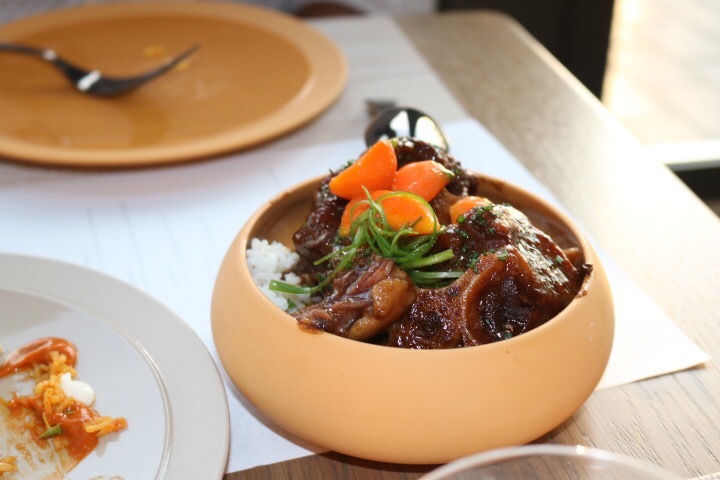 I will admit that the Jollaf rice and oxtail felt like a little gentrified, as in, they didn’t have the rich flavor that you get in the traditional dishes. But, it could also be a work in progress. 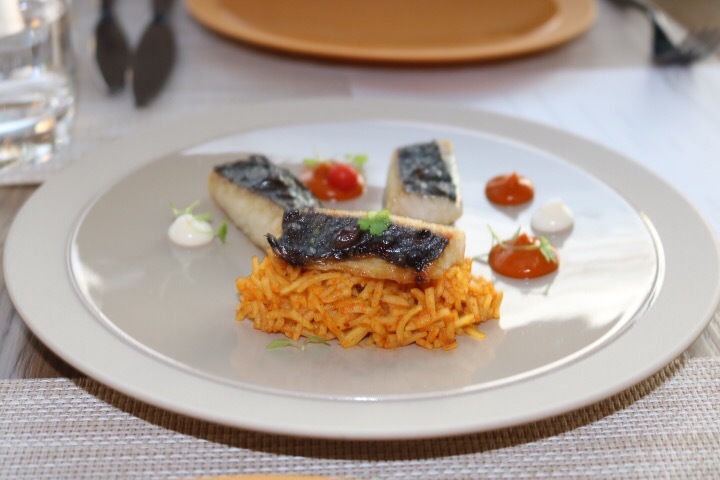 Small portions – Self explanatory. Feed me. Limited Menu – For a tapas style restaurant, I need more choices. They have like 12 selections and they’re all really small. They need a full on tapas menu because you will need about 6 between two people to even get marginally full. My husband and I got four and debated going to Shake Shack afterwards. We didn’t but you get the point. Overall, I am really feeling this place. The ambiance alone would make me visit often.